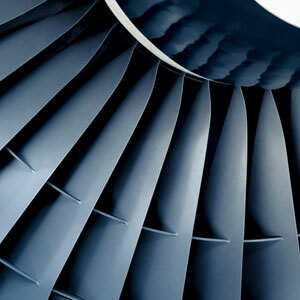 One of the early uses of Hot isostatic pressing (HIP) was to enhance the properties of cast turbine airfoils. Today, HIP is used to remove porosity from a wide range of nickel-based super alloy and titanium precision castings for aircraft engines and structural components. The resultant improvement in strength and service life is especially important for parts which are exposed to very high stresses, such as aircraft turbine blades. In addition, castings can be designed lighter by incorporating HIP into the manufacturing process. By removing service-induced porosity, HIP is used to rejuvenate aircraft turbine blades, extending their service life for improved economy. In addition to removing creep porosity, HIP improves the weld or braze material by removing porosity and improving bonding. Significant cost savings may be realized by starting with a cast part and then HIPping to improve its properties as compared to machining the part from a solid.